Last week I got into the Halloween spirit with candy corn pudding cups, a fun and easy Halloween nail design for kids, and the cute mason jar jack-o-lanterns on homemade hay bales. And this week’s features will definitely get you in the Halloween mood too! 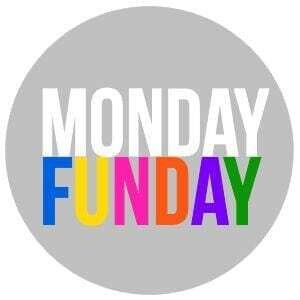 Welcome to the Monday Funday Party! 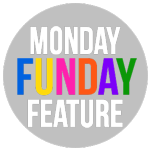 The Monday Funday Link Party is an 8 blog party where you can share your latest creativity including: DIY projects, crafts, and recipes! 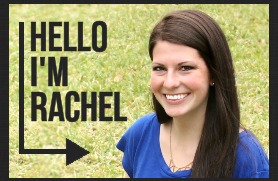 Hi, I’m Rachel from Lines Across and I’m happy to be choosing the features this week. This week I shared a Pineapple Onesie Costume and a Duct Tape and Chalkboard Banner. And my personal favorite from last week’s party is this super cute and simple craft idea for kids. I love this Glow-in-the-dark Halloween Necklace idea from Simply Designing. A huge thank you to everyone who linked up with us last week! If you were featured today or throughout the week on our social media accounts, please grab a featured button! Please link to a specific post on your blog, no Etsy shops. Also please click through to the tutorial and pin from the original source!